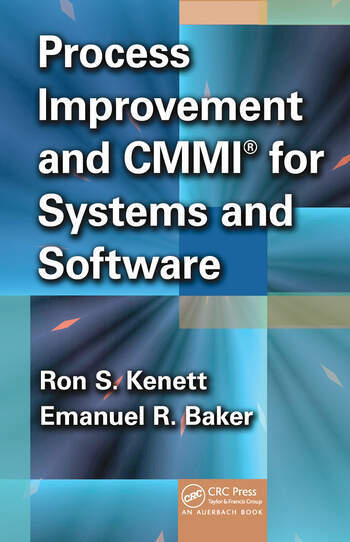 Process Improvement and CMMI® for Systems and Software provides a workable approach for achieving cost-effective process improvements for systems and software. Focusing on planning, implementation, and management in system and software processes, it supplies a brief overview of basic strategic planning models and covers fundamental concepts and approaches for system and software measurement, testing, and improvements. 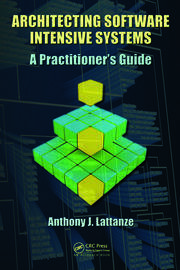 The book represents the significant cumulative experience of the authors who were among the first to introduce quality management to the software development processes. 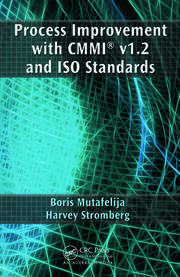 It introduces CMMI® and various other software and systems process models. It also provides readers with an easy-to-follow methodology for evaluating the status of development and maintenance processes and for determining the return on investment for process improvements. 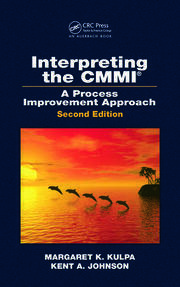 The text concludes with a realistic case study that illustrates how the process improvement effort is structured and brings together the methods, tools, and techniques discussed. Spelling out how to lay out a reasoned plan for process improvement, this book supplies readers with concrete action plans for setting up process improvement initiatives that are effective, efficient, and sustainable. Each chapter begins with a "Synopsis" and concludes with a "Summary"
Ron S. Kenett, PhD is CEO and senior partner of KPA Ltd., an international management consulting firm, research professor at the University of Torino, Torino, Italy and international research professor, Gerstein Fisher Center for Finance and Risk Engineering, NYU Poly, NY, USA. He has more than 25 years of experience in restructuring and improving the competitive position of organizations by integrating statistical methods, process improvements, supporting technologies, and modern quality management systems. For ten years he served as Director of Statistical Methods for Tadiran Telecommunications Corporation and, previously, as researcher at Bell Laboratories in New Jersey. His 150 publications are on topics in industrial statistics, software quality, and quality management. Ron is co-author of four books including Modern Industrial Statistics: Design and Control of Quality and Reliability (with S. Zacks), Duxbury Press, 1998, Chinese edition, 2004 and Software Process Quality: Management and Control (with E. Baker), Marcel Dekker Inc., 1999, which is based on a course he taught at Tel Aviv University School of Engineering. He is editor in chief of the Encyclopedia of Statistics in Quality and Reliability (Wiley, 2007) and of the international journal Quality Technology and Quantitative Management. He is past president of ENBIS, the European Network for Business and Industrial Statistics and has been a consultant for hp, EDS, SanDisk, National Semiconductors, Cisco, Intel and Motorola. Professor Kenett’s PhD is in mathematics from the Weizmann Institute of Science, Rehovot, Israel, and a BSc in mathematics with first class honors from Imperial College, London University. Emanuel R. Baker, PhD is a principal owner of Process Strategies, Inc., an internationally recognized software and systems engineering consulting firm based in Los Angeles, CA and Walpole, ME. 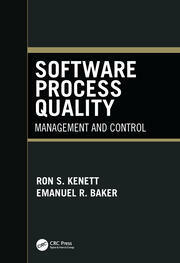 He and Dr. Ron Kenett are co-authors of the book, Software Process Quality: Management and Control, published by Marcel Dekker, Inc. in 1999. 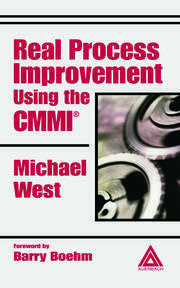 He has written numerous papers and other publications on the topics of process improvement and software quality. Dr. Baker is an SEIcertified High Maturity Lead Appraiser for the SCAMPI appraisal methodologies for the CMMI-DEV, CMMI-SVC, and CMMI-ACQ models, and instructor for the SEI’s Introduction to the CMMI-DEV and CMMI-ACQ supplement courses. He has held a number of management positions and was manager of the Product Assurance Department of Logicon’s Strategic and Information Systems Division. In that capacity, along with his duties of managing the department, he had responsibility for the contract to develop the former DoD software quality standard, DoD-TD-168. His current interest is to help organizations in implementing process improvement and assisting them in their implementation of the CMMI.